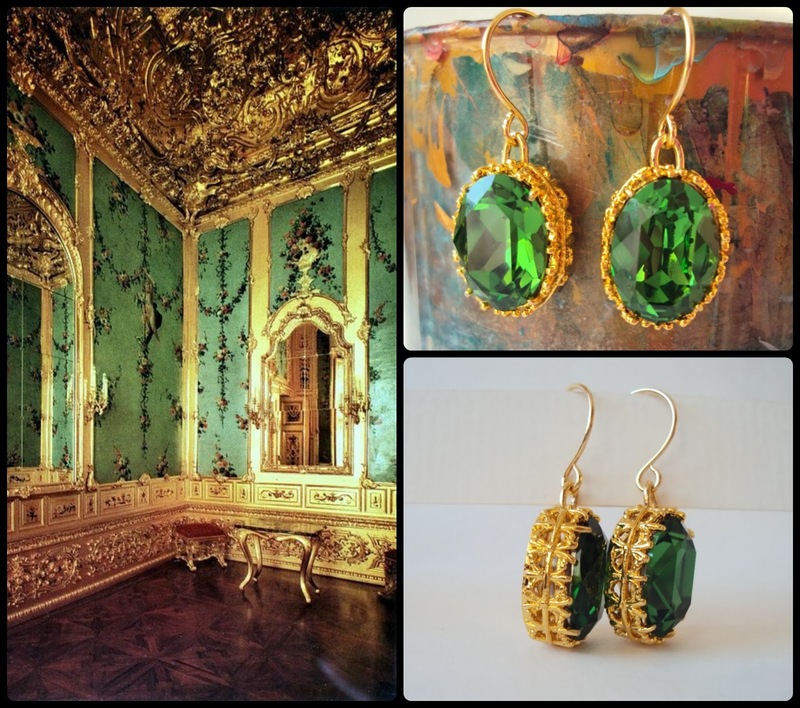 When it comes to glamorous jewelry, you can not go wrong when choosing bright green color with the gorgeous gold tone contrast. This stunning color combination is well known in royal palaces, in their majestic decors, or in luxurious clothing and jewelry. Green emerald color is well known to be a very popular choice for wealthy, sophisticated people that want to shine, that want to be elegant and have a classic, endless piece of jewelry. Tassels are such great accessories because of their versatility! They can be used for purses, earrings, key chains,, necklaces etc. I have made this pair of earrings with long had cut leather tassels. They are extremely elegant and comfortable to wear. For an oriental touch, I added this stunning white gold plated link. Gorgeous and simple, right? Available here.